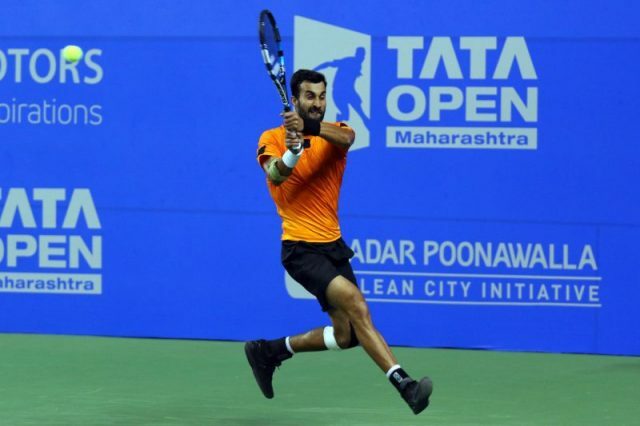 Pune: India’s highest ranked Singles player Yuki Bhambri qualified for the second round of Tata Open Maharashtra as he defeated local-boy Arjun Kadhe in straight sets 6-3, 6-4 here today at the Mhalunge Balewadi Stadium. Defending Champions Rohan Bopanna and Jeevan Nedunchezhiyan also advanced to the second round in the Doubles category as they defeated fellow Indian duo of Leander Paes and Purav Raja in straight sets 6-3, 6-2. Ranked 118th in the world, Yuki Bhambri started his match confidently as he absorbed the pressure put on him by his countryman Arjun Kadhe. 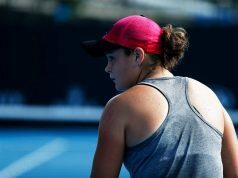 23-year-old Kadhe had entered the Tata Open Maharashtra as a wildcard but showed no signs of inexperience in the first set. Whereas, Yuki not only served well but also returned Kadhe’s serves to take away any advantage that Kadhe could have had over him. Bhambri and Kadhe won two each of the first four games to make it an interesting watch for the spectators at the Mhalunge Balewadi Stadium, but it was Bhambri who showed why he is the top-ranked Indian in the world as he constantly put pressure on Kadhe with some precise back-hands which saw him win the first set 6-3. The second set saw a similar story as the scores were tied at 3-3 after the first six games but it was Bhambri who looked more relaxed as he got into the rhythm of the match. Kadhe, on the other hand, had the backing of the crowd but could not produce his best tennis at crucial stages of the match. It was the 25-year-old Bhambri who carried forward his momentum from the first set as he stamped his authority on the match by winning 64% points off his service. Towards the latter stages of the second set, Kadhe seemed dejected as Bhambri won the last two games in succession to advance to the second round of the tournament. In the most anticipated match of the day, two of the best Indian Doubles’ players competed against each other when Leander Paes and Rohan Bopanna paired up with their partners Purav Raja and Jeevan Nedunchezhiyan respectively. 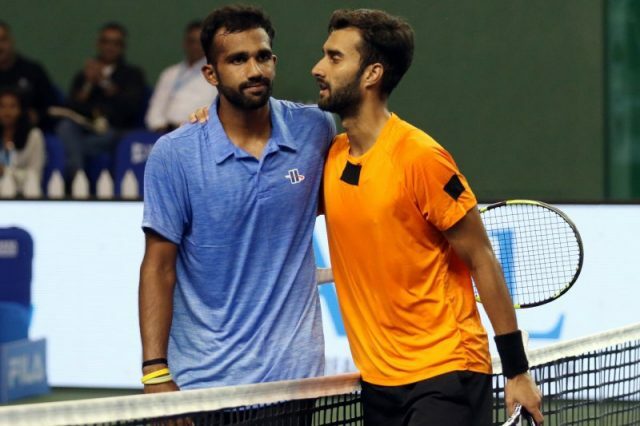 It was the pairing of Bopanna-Nedunchezhiyan who showed positive intent from the start which helped them in winning the first set comfortably with a score-line of 6-3. 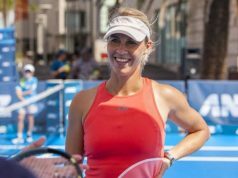 The fourth-seeded pair of the tournament did not disappoint their fans as they played some exciting tennis, working together to make it an exciting watch for the spectators at the arena. In the second set, Paes-Raja tried to make a comeback into the match but could not beat the pace and energy shown by their opponents. 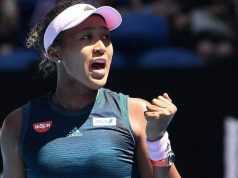 It meant that after staying level for the first four games of the second set, Bopanna-Nedunchezhiyan showed why they won the competition last year as they ran away with the victory, displaying some wonderful skills on the court.